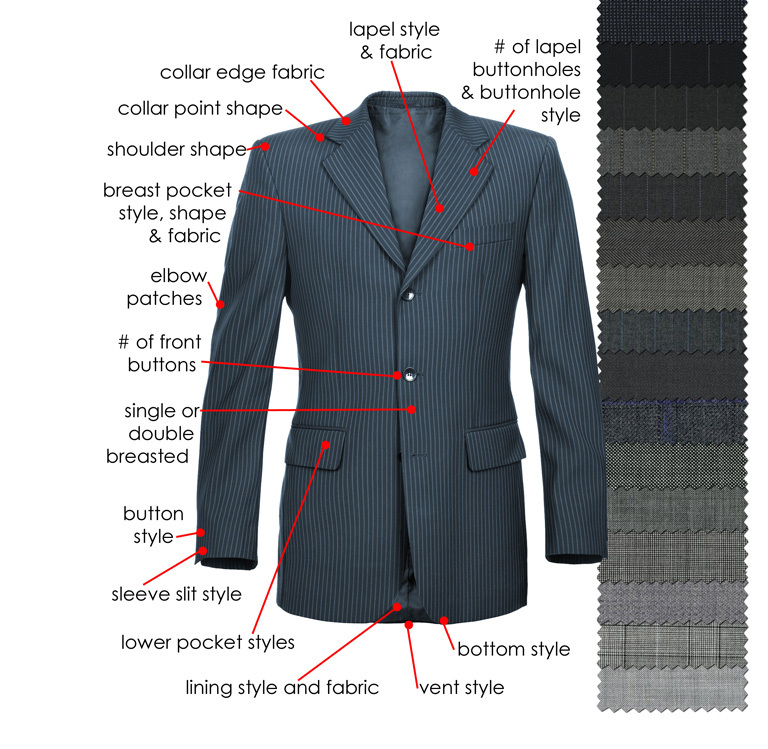 Your suit is a blank canvas waiting to be designed by you. The fabric is the obvious choice to start with, but there are many more details that can be personalized. Here’s an overview of the choices you can make. And don’t worry, our SF Tailors stylist will hold your hand all the way through the designing process.